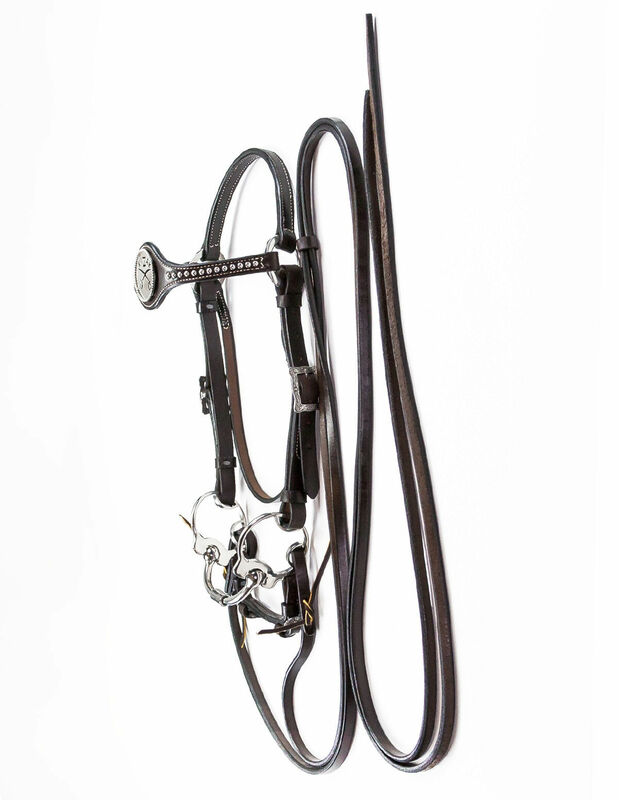 Handcrafted quality Herman Oak leather headstall accented with quality fine designed solid stainless steel hardware. 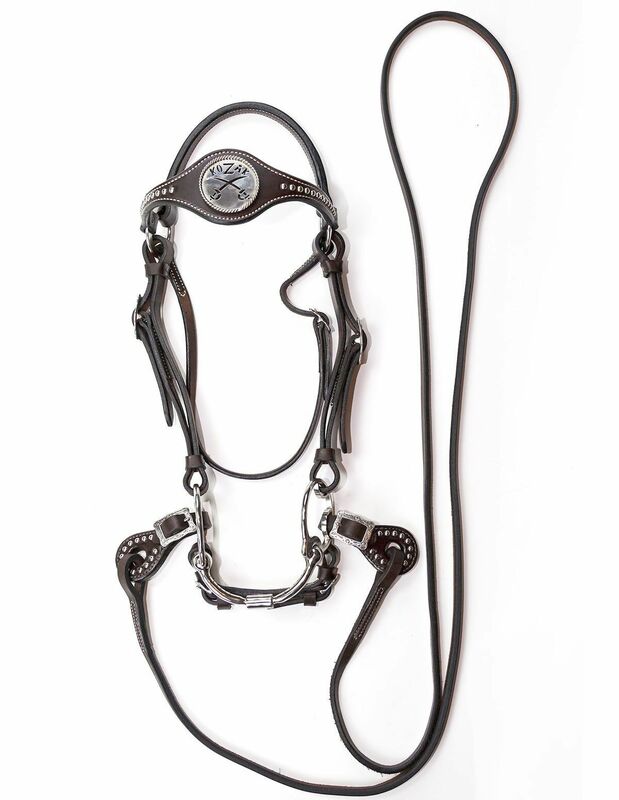 The unique brow band has a single row of stainless steel studding on each side of the signature stainless steel “Kozak” Concho. Adjustable double leather sides with buckle ensure a perfect fit along with a secure throatlatch with matching buckle. 100 % stainless steel Signature Kozak bit is designed for maximum comfort that will not pinch the tongue. 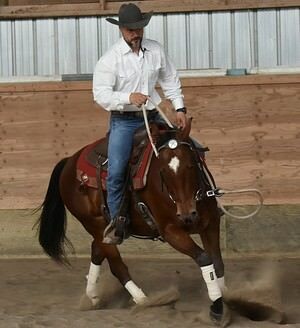 Strategically placed rings in the cheek pieces provide proper alignment for chin strap, bridle and reins. A Herman Oak leather chin strap with matching stainless steel buckle. 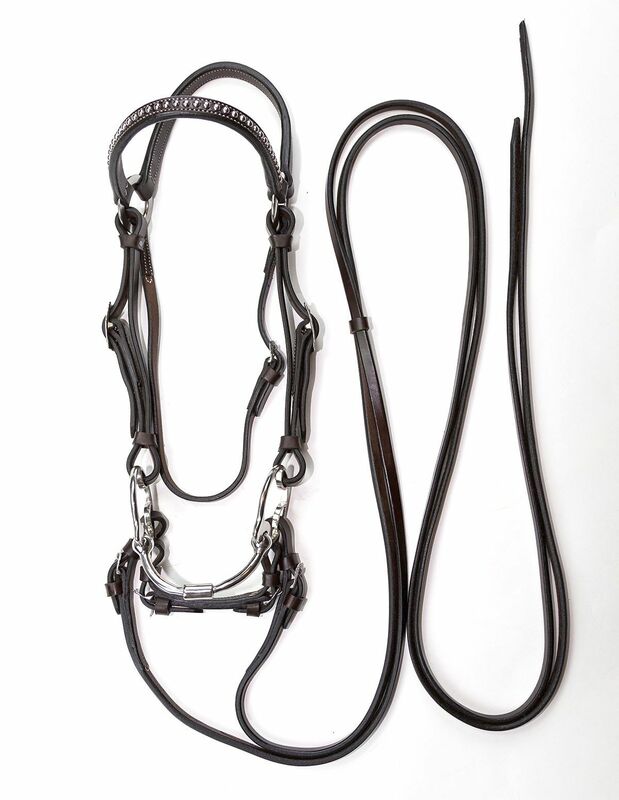 Quality Herman Oak leather split reins that are soft and pliable in your hands. 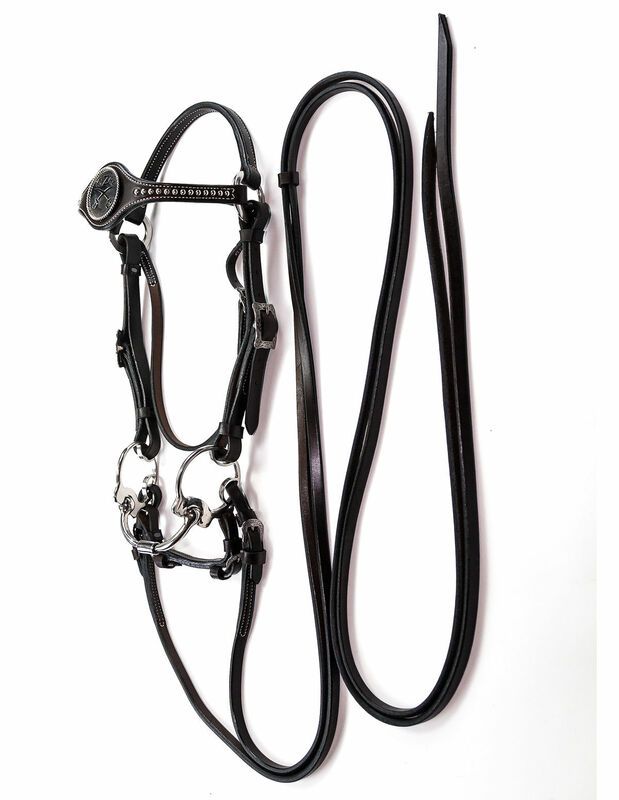 These beautiful seven foot handcrafted reins are accented with fine designed solid stainless steel buckles that allow quick and convenient connection to the bit. 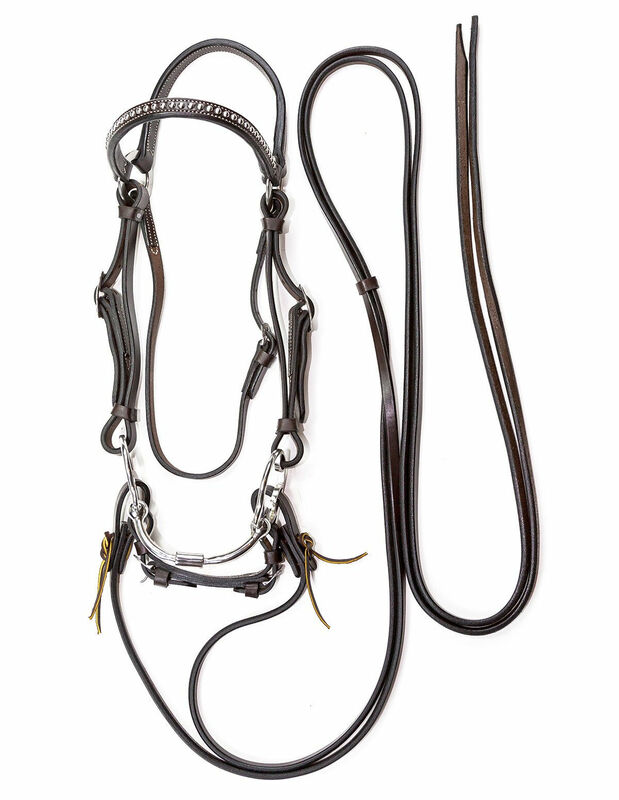 A beautiful complete bridle set that will last the test of time. Herman Oak leather chin strap with matching stainless steel buckle. 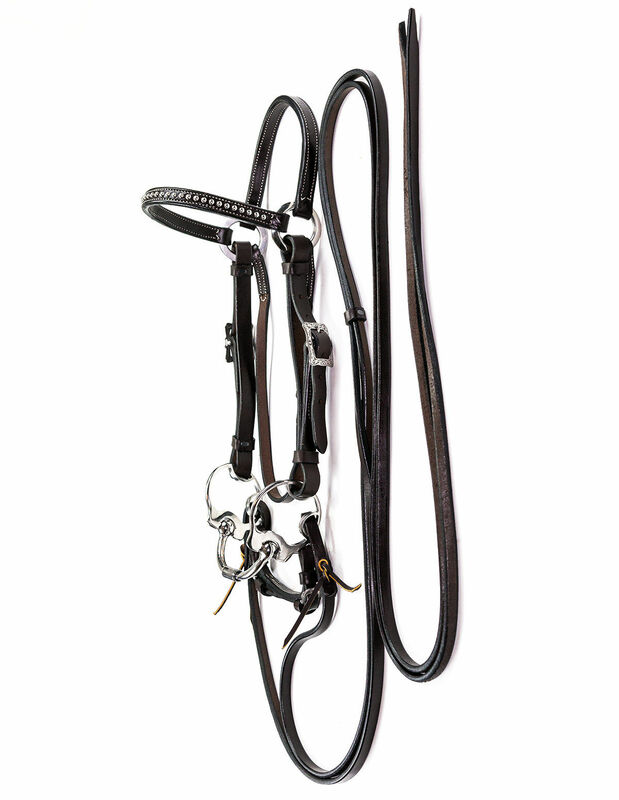 Herman Oak fine quality seven foot split leather reins are soft and pliable in your hands. 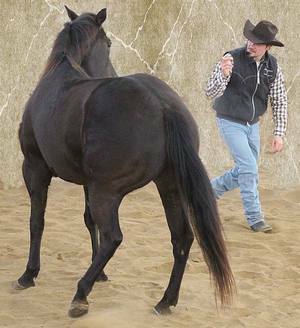 The reins are finished with weighted ends along with water loop ties that allow quick and convenient connection to the bit. 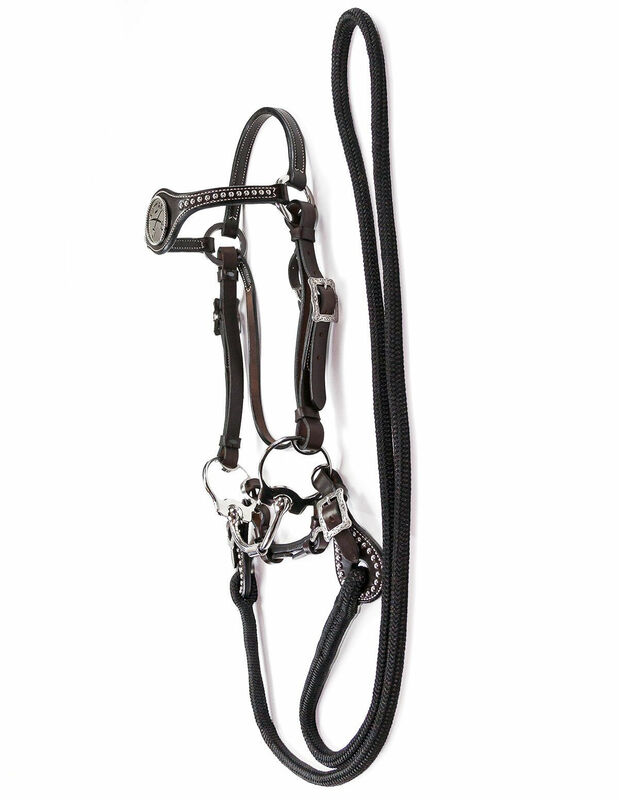 Handcrafted quality Herman Oak leather headstall accented with fine designed solid stainless steel hardware. The unique brow band has a single row of stainless steel studding on each side of the signature stainless steel “Kozak” Concho. Adjustable double leather sides with buckle ensure a perfect fit along with a secure throatlatch with matching buckle. 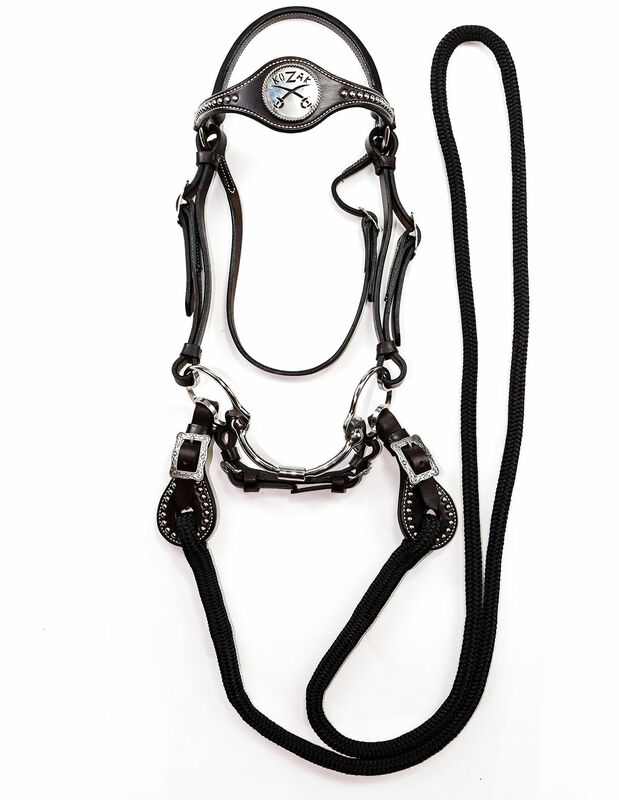 Custom designed Herman Oak leather chinstrap is detailed with fine designed solid stainless steel matching buckles. A one piece Herman Oak soft leather rein measuring 96 inches in length and custom attached to beautiful matching hand crafted Herman oak leather slobber straps with matching stainless steel studding and buckles. 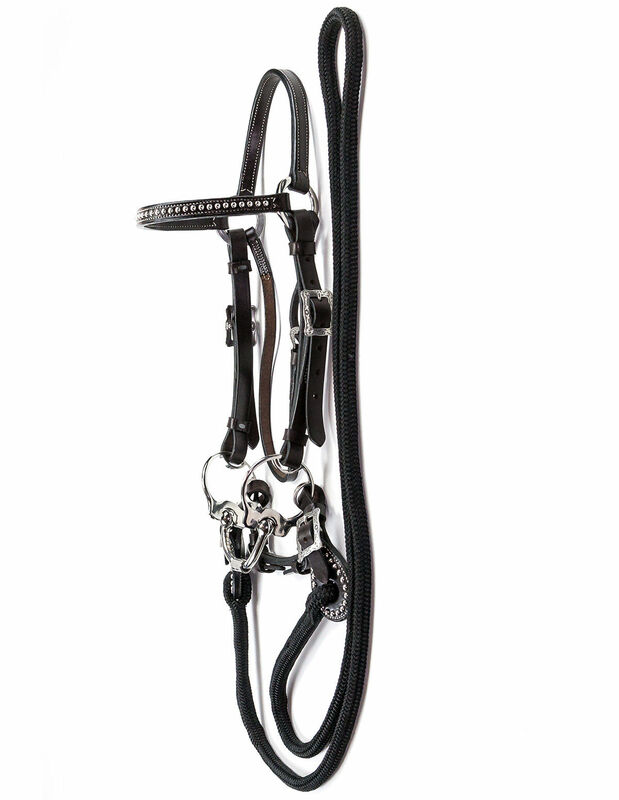 Handcrafted quality Herman Oak leather headstall accented with fine designed solid stainless steel hardware. A decorative brow band with a single row of stainless steel studding on each side of the signature stainless steel “Kozak” Concho. Adjustable double leather sides with buckle ensure a perfect fit along with a secure throatlatch with matching buckle. 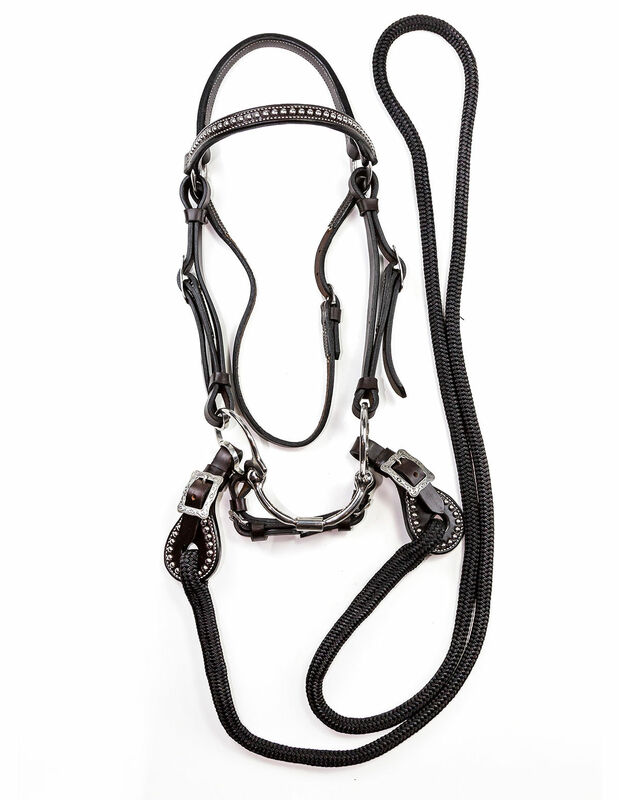 Premium quality 9/16 inch double braided soft one piece rope rein measuring 96 inches in length is custom attached to hand crafted Herman Oak leather slobber straps accented with stainless steel studding and buckles matching the headstall and chin strap. 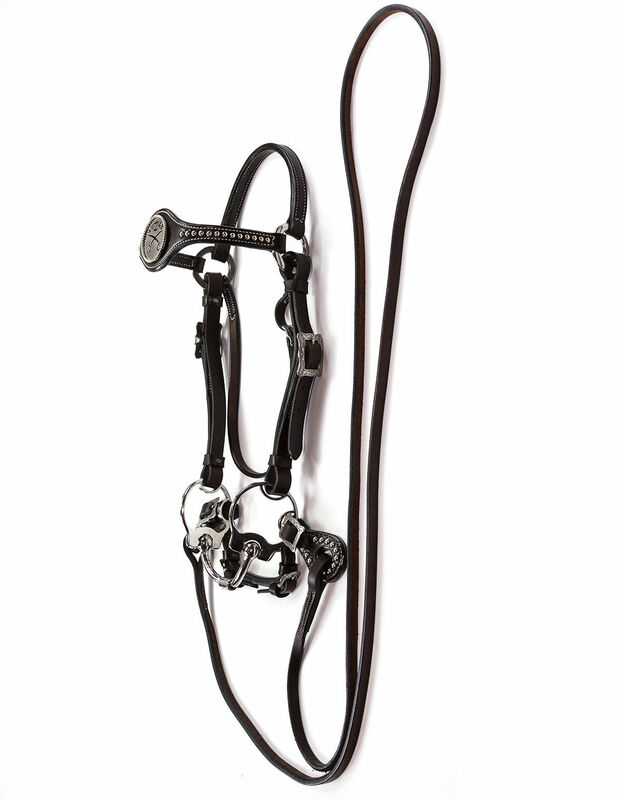 Handcrafted quality Herman Oak leather headstall accented with fine designed solid stainless steel hardware. A beautiful brow band is accented with a single row of stainless steel studding. Adjustable double leather sides with buckle ensure a perfect fit along with a secure throatlatch with matching buckle. 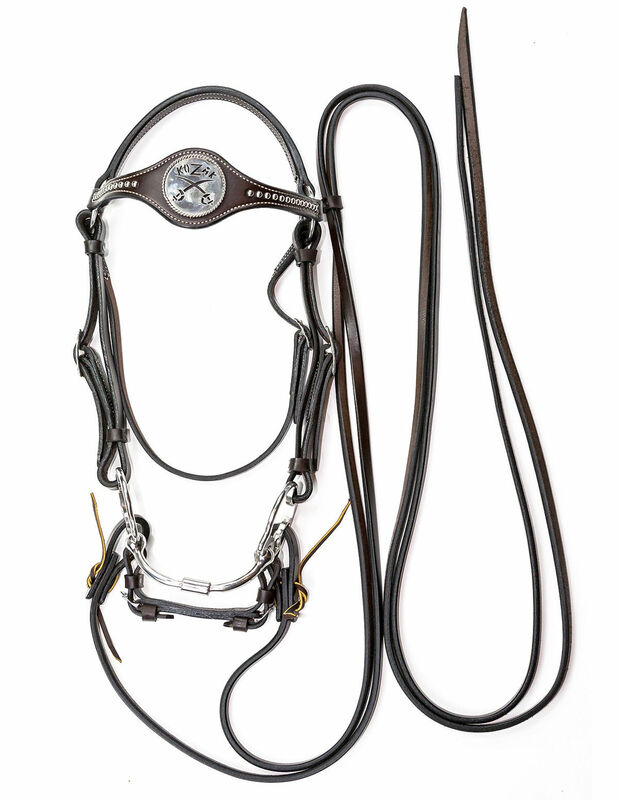 Handcrafted quality Herman Oak leather headstall accented with quality fine designed solid stainless steel hardware. The unique brow band has a single row of stainless steel studding. Adjustable double leather sides with buckle ensure a perfect fit along with a secure throatlatch with matching buckle. 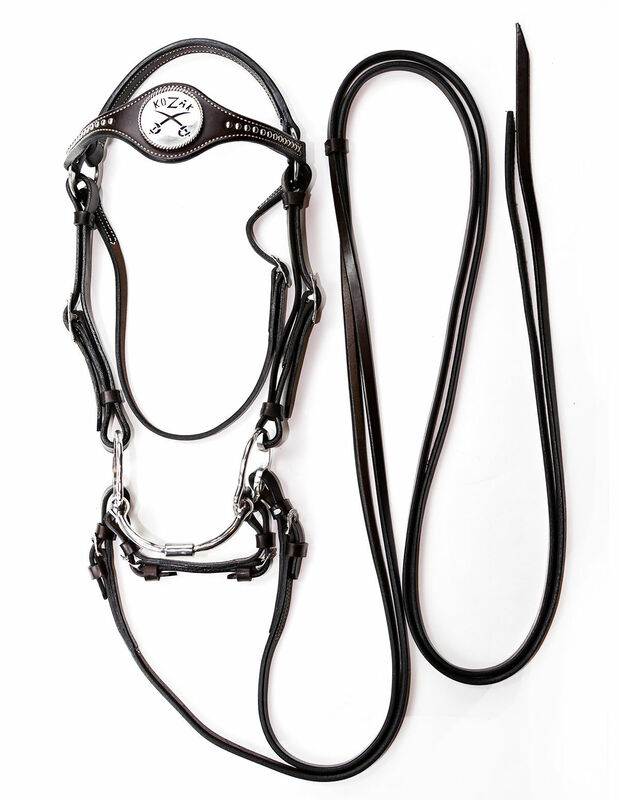 Handcrafted quality Herman Oak leather headstall accented with fine designed solid stainless steel hardware. A beautiful brow band with a single row of stainless steel studding. Adjustable double leather sides with buckle ensure a perfect fit along with a secure throatlatch with matching buckle. 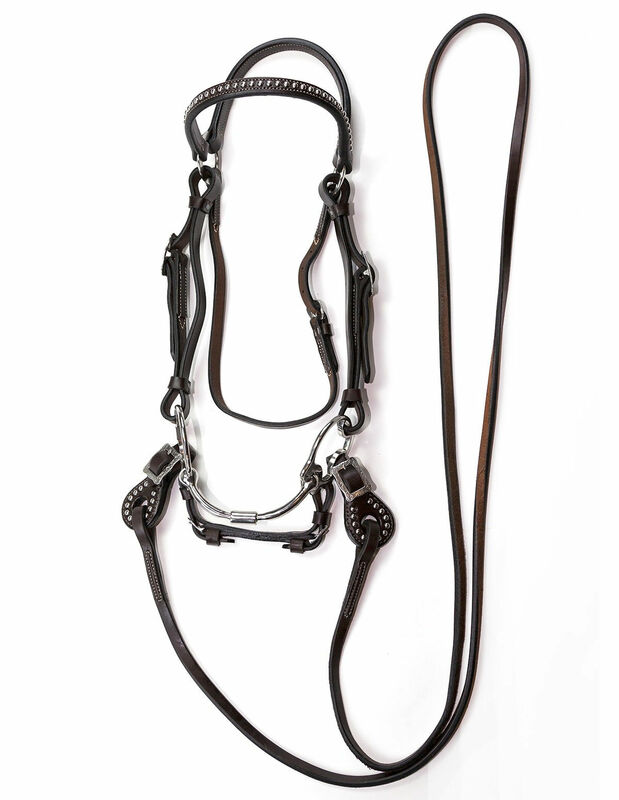 Premium quality 9/16 inch double braided soft one piece rope rein measuring 96 inches in length are custom attached to hand crafted Herman oak leather slobber straps accented with stainless steel studding and buckles matching the headstall and chin strap.